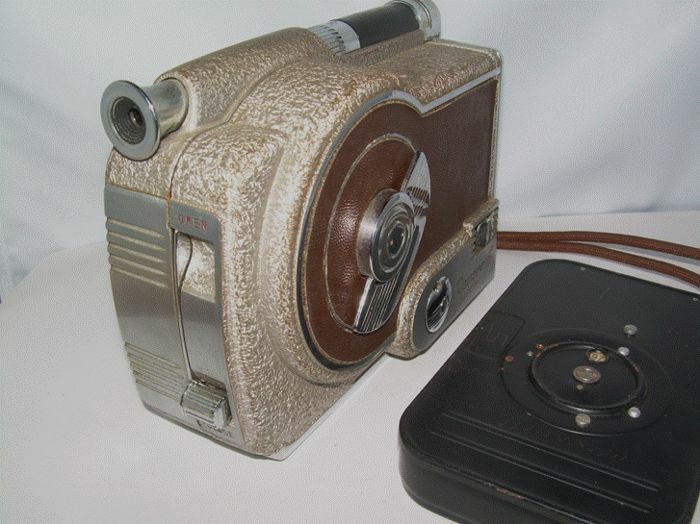 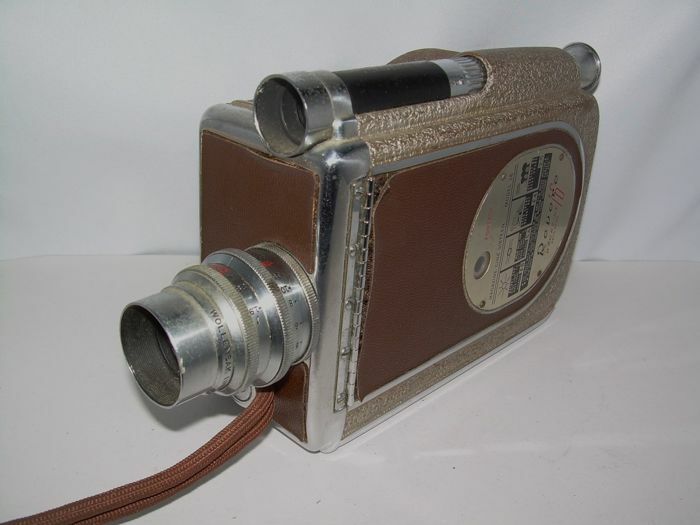 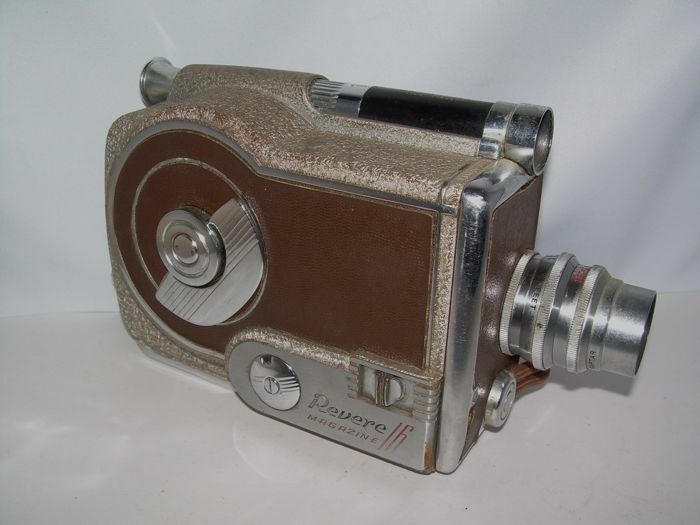 The design of this camera fits in the late Art Deco period. 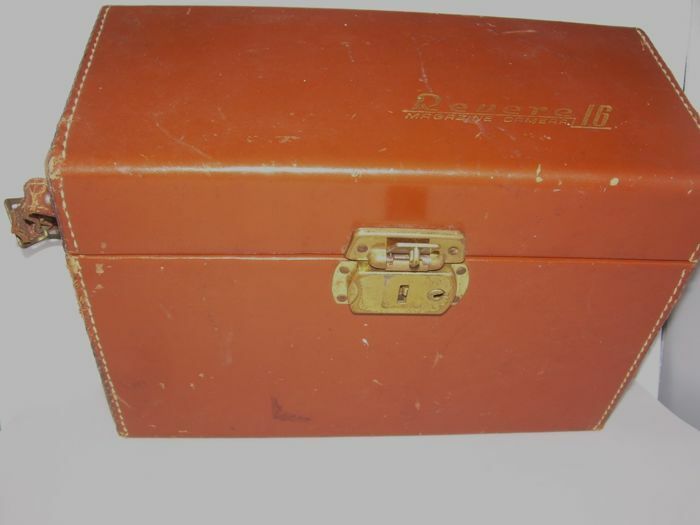 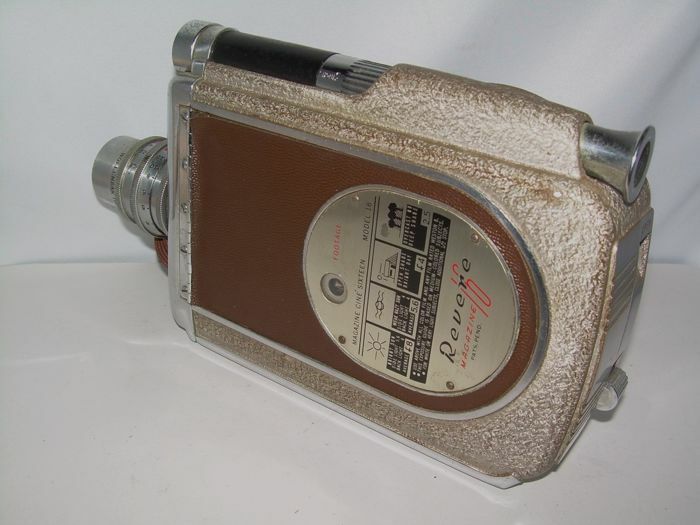 It is a very special design for movie camera's in the late 40s. 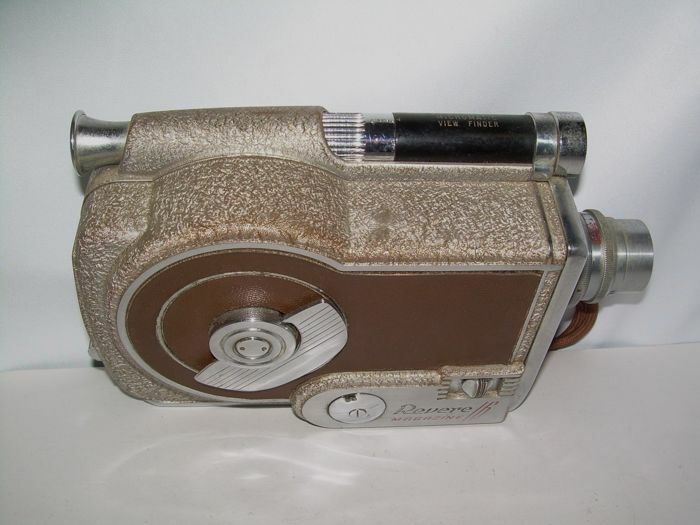 Produced by Revere Camera Corp., Chicago between 1947 and 1950. 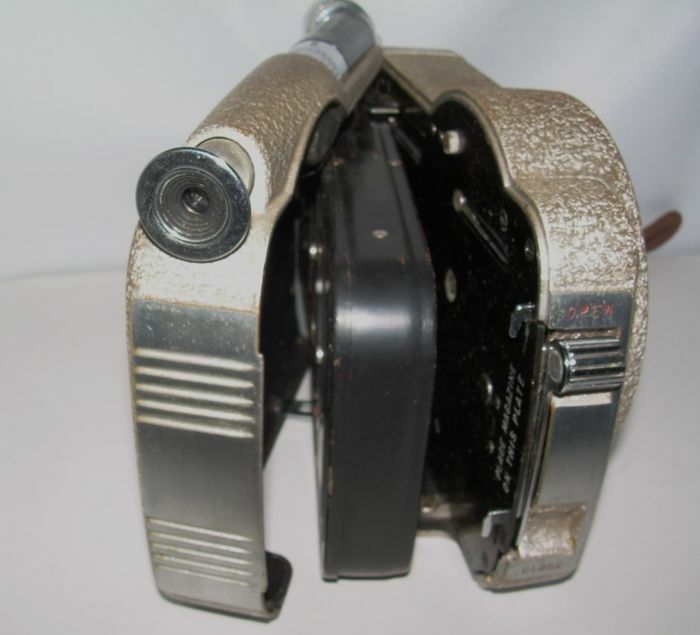 It runs well on springwork. 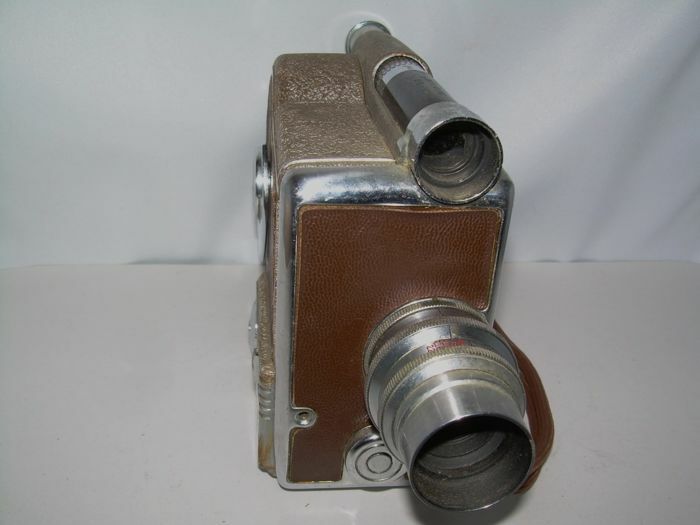 The Micromatic View Finder is clear.